Since the launch of the Neutron Star Interior Composition Explorer (NICER) on June 3, and its subsequent installation at its new home on the International Space Station, the NICER team has been hard at work, painstakingly testing and calibrating the instrument. Now the fun starts - NICER is obtaining its first science results. The image above shows a plot of a NICER X-ray spectrum of one of its first targets, a high mass X-ray binary system called GX 301-2, composed of a massive star with a strong stellar wind and a neutron star companion. The neutron star gravitationally captures a portion of the wind from the massive companion, and as this wind material falls onto the surface of the neutron star it heats up to temperatures of tens of millions of degrees, hot enough to produce high-energy X-ray emission. The colors of the plot are meant to signify X-ray energy, from red (lower energy X-rays) to blue and purple (high energy X-ray emission). The narrow spikes are features called emission lines, which are produced by iron and nickel atoms in the binary system, some of which have lost nearly all of their electrons. 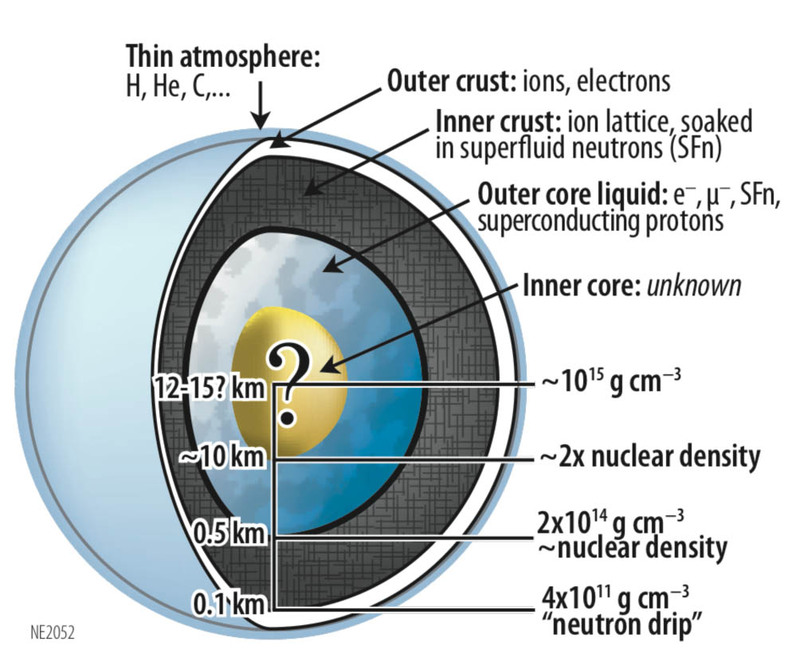 NICER will be able to study changes in these features on very short timescales, and, through the study of rapid X-ray pulsations produced by neutron stars, will be able to essentially peer beneath the surface of neutron stars to determine what lies beneath. NICER will also test out a system of galactic positioning, which one day may enable navigation using neutron stars (and giving new meaning to the phrase "lighthouse model").